The decision was made following a public consultation last year and in the wake of the case of Tini Owens, who has found herself unable to divorce her husband until they have been separated for a period of five years. 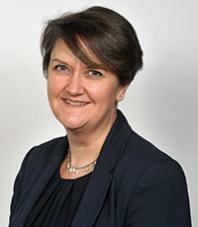 Justine Flack, partner and family law expert at Howes Percival, said: “I am delighted to see that the government has listened and that our divorce laws will be updated. These changes are long overdue. “Our focus is to try and get separating couples to work together constructively to resolve issues; fault-based divorce is a barrier to achieving this from the outset. “I firmly believe that the proposed changes will be better for couples and their children by removing blame. They will also stop one party from blocking the process in circumstances where their spouse has concluded the relationship is over. “Tough though it is, defending a divorce or causing delay does not repair the relationship but is more likely to increase the acrimony of the breakdown.